Trending at $8.88eBay determines this price through a machine learned model of the product's sale prices within the last 90 days. It does not have the LED lights. The old LED ones were discontinued due to constant breakage. 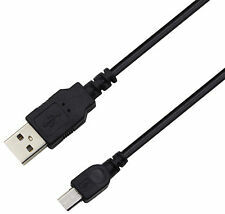 NEW re-designed RAPID charging cable for NOOK Color BNRV200, TABLET BNTV250, BNTV250A. Q : Will this work with the 7" Nook Tablet model number: BNTV250?. FOR NOOK COLOR AND NOOK TABLET ONLY. WALL USB ADAPTER. POWER CORD INCLUDED. DOES NOT WORK ON HD OR HD MODELS. 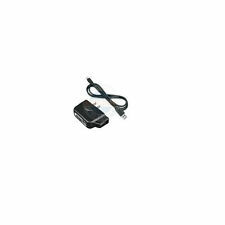 NEW re-designed RAPID charging cable for NOOK Color BNRV200, TABLET BNTV250, BNTV250A. Q : Will this work with the 7" Nook Tablet model number: BNTV250?. Compatible : Barnes & Noble NookColor BNRV200, NookTablet BNTV250 and BNTV250-A. Nylon Reinforced ✔PREMIUM Branded Cable & Travel Case! New LED Touch Lit Cable Compatible with Nook Color Tablets. Also compatible with all Barnes & Noble Nook Tablet Models (Except Newer Nook HD and HD ). Fits Models BNTV250, BNRV200. 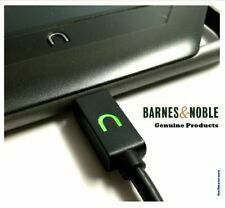 Genuine Nook Color, USB/Sync Cable. 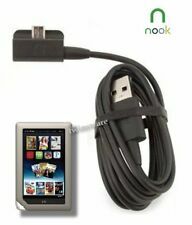 This replaces NOOK color LIGHT UP CABLE (4th pic is for the older light up cable). Barnes and Noble Genuine. It does not have the LED lights. The old LED ones were discontinued due to constant breakage. Q : Will this work with the 7" Nook Tablet model number: BNTV250?. Compatible with: Barnes & Noble NookColor BNRV200, NookTablet BNTV250 and BNTV250-A. ⭐️⭐️⭐️⭐️⭐️ RED for "CHARGING" and GREEN for "CHARGED"
Cable length: 80CM/2.5ft. 1 x USB Cable. Support Scalable power charging. Interface Type: Male. Cable length: 80CM/2.5ft. 1 x USB Cable. Super-Pure Deoxidized copper core. Support Scalable power charging. Interface Type: Male. 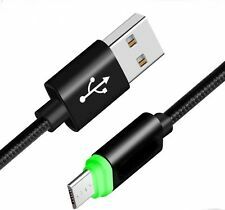 The Micro USB Data Cable provides high-speed USB 2.0 data transfer rates, while simultaneously charging your phone through your computer's USB port. 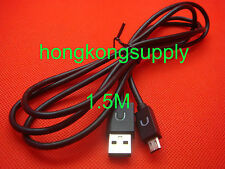 This is a factory original USB Data Cable made for your Phone so transferring files are safe and easy! Cable Lights RED for "Charging" and GREEN for "Charged"